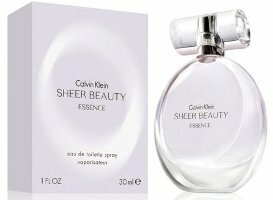 Calvin Klein has launched Sheer Beauty Essence. The new fragrance for women is a flanker to 2010's Calvin Klein Beauty, and follows 2011's Sheer Beauty. Notes for the woody fruity floral include nashi pear, peach, peony, lilac, rose, magnolia, vanilla, cedar and musk. Calvin Klein Sheer Beauty Essence is available in 30, 50 and 100 ml Eau de Toilette. But still no flankers of flankers of flankers this year. I am waiting patiently. Coming in 2014…Calvin Klein Sheer Beauty Essence L’eau? Can’t wait for the Sheer Beauty, pure essence, l’eau fraiche, summer couture l’elixir edition. Inspired by the smell of the designers money blowing in a dewy wind. It’ll be pure quality bruv! Can’t imagine how creative the bottle will be, with beauty being of gold juice and a metal outer casing, Sheer Beauty being pink with a transparent bottle and now Sheer Beauty Essence being all clear. There might not even be a bottle able to contain that kind of fragrance down the road at this rate. Imagine if the fragrance industry were forced to create a WHOLE NEW FRAGRANCE!!! That would stir up quite a controversy. I don’t know if the industry would be able to handle it, nor would I want to conceive them ever taking such a risk of imagination and innovation. I don’t think I ever even saw Sheer Beauty. I was assuming that Beauty wasn’t doing that well for Calvin Klein as a pillar fragrance, but obviously I must be wrong. Oh, I would not at all assume you were wrong. The additional cost to produce a flanker is minimal, and this may not be in worldwide distribution at all.